According to Chinese Five-Element, I have a lot of water and earth in my chart. I'm a natural nurturer, and tend to blend in to the environment, and 'go with the flow.' I'm also a natural harmonizer. Growing up amidst a lot of fighting was a challenge, hence I became driven to 'keep the peace' in my feeble attempts to restore harmony, as I dreaded all the conflict. I am also very empathic, and was quite shy and introverted when young. I learned how to cope as an introvert, by adopting some more extroverted behaviors, however, that often involved alcohol to help me feel 'less boring.' I think my hyper-concern of the opinions of others gathered momentum when I began to get bullied in grade school. 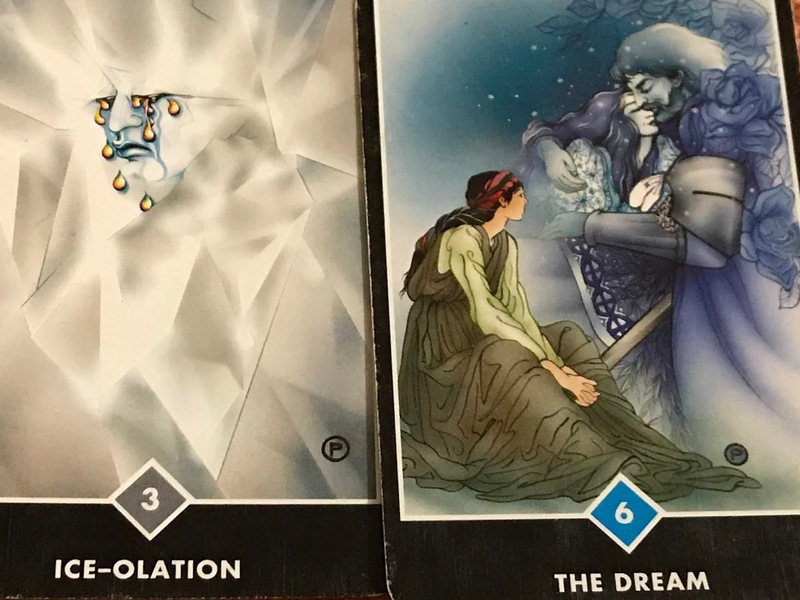 No doubt, these conditions made me especially susceptible to those deeper feelings of 'not being worthy' or 'not being valued' that are among the most debilitating beliefs to overcome. The silver lining: It is by overcoming what is often referred to as our 'chief obstacle, or stumbling block' that we experience our greatest growth and the many rewards that follow such a huge life-altering transformation. On the flip side, if we let these beliefs fester unchecked, it will be our greatest source of self-sabotage, for as Dr. Hart, creator of the Holistic C.O.R.E. Counseling system always says, "You only evolve as much as your least evolved parts." We have not had many opportunities to all be together since the wedding, so they are essentially still getting to know each other. Well, of course, contrary to my hopes, the week started off a bit sketchy. My expectations were a bit confounded, causing me to have a couple of mini melt-downs. In retrospect, we were simply a bit drained from the first part of our trip, which involved long hours of travel, and few hours of decent sleep. By the time we were visiting my mom, we were really lagging. So much so, my mom was unsure of what to make of Don, as he was very quiet. (And my mom is not.) Turns out he had an ongoing headache, and was on the verge of not feeling well, beyond just still being worn out. 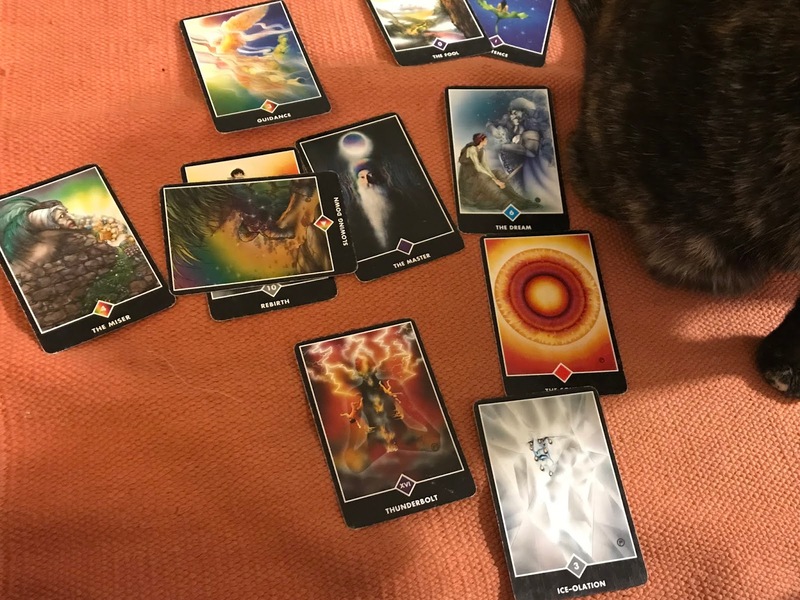 On Thanksgiving evening, our last full day in Chicago, I did a Celtic Cross reading with the Osho Zen cards. As always, it was spot on, in so many ways. 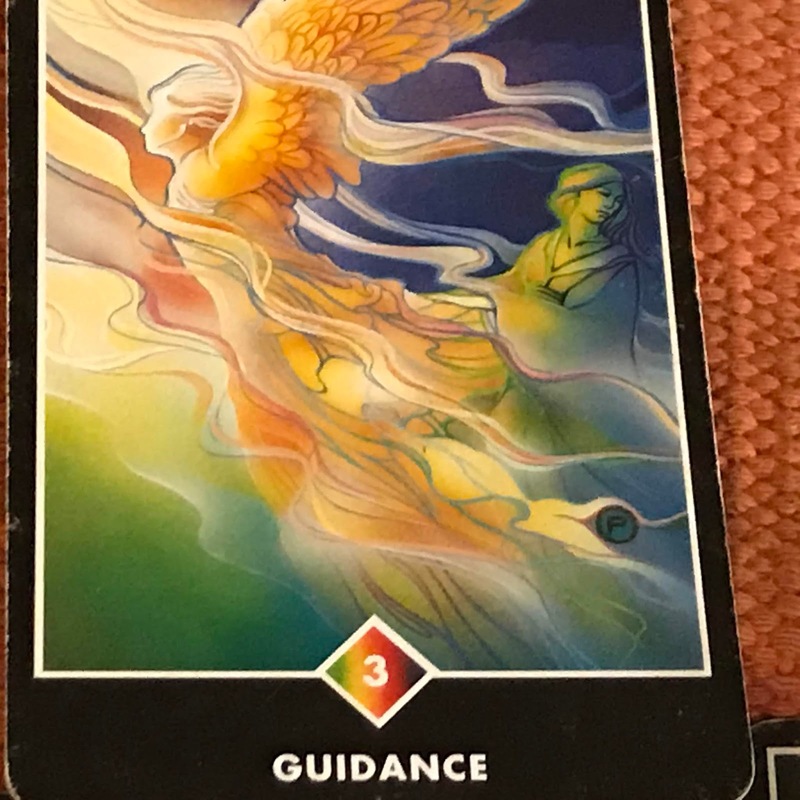 It not only answered my inquiry, but it helped me get the perspective I needed to once and for all let go of my long-standing issues with worrying about everyone else's needs, and opinions. While it was very personally fitting for what I needed to 'get' ~ I think the many can benefit from the message, hence why I thought to share it. 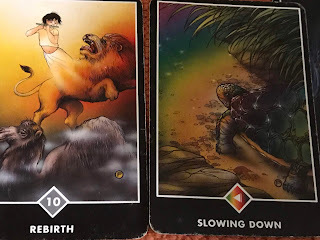 Card #1 - The issue - Rebirth - the evolution we go through from being acquiescent to the needs of others, self-absorbed, and worried about what others think, depicted as a camel at the bottom of the picture, from which a lion emerges on top of the camel, and a young boy playing the flute emerges from the lion. As the lion, we rebel and roar our truth and claim our independence, no longer worrying about others. While the young boy is the symbol of innocence, spontaneity, and purity. We no longer acquiesce, nor rebel at life. We are One with our Spirit, in the Spirit of the moment. I have spent way too much energy in my life attempting to maintain peace and harmony, especially where it simply was not necessary ~ erroneously interpreting the harmony as a form of acceptance, or in some cases, approval. 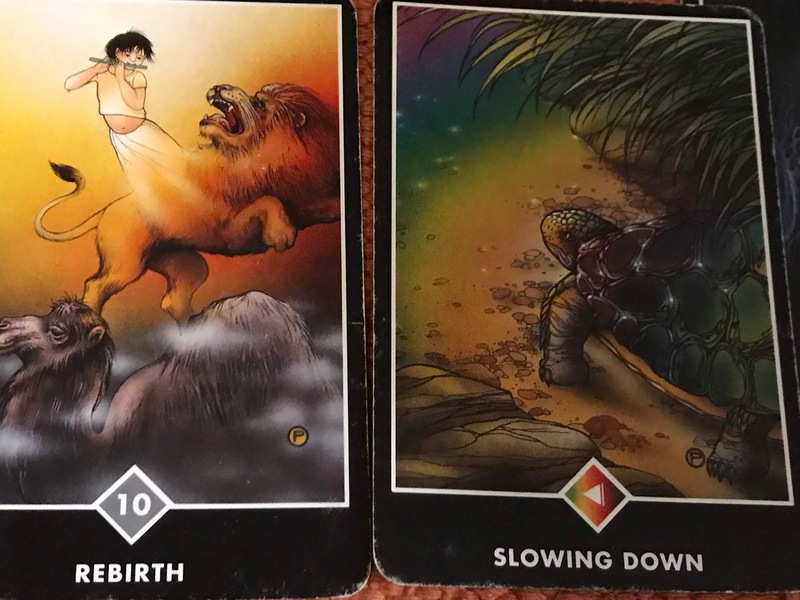 Card #2 - What is crossing (helping or hindering) the issue - Slowing Down ~ The turtle reminds us that he/she carries it's home on it's back, hence, it is always 'at home' wherever it is! Also, patience. Step by step things work out. 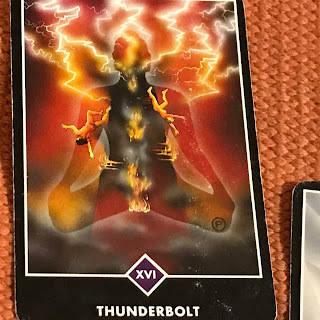 The subconscious influences, Card #3 - Thunderbolt (The Tower major arcana in traditional tarot.) Internally, I've felt the forces rising within me of the clash between accepting what is, and really wanting things to be different, personally and locationally. The tower represents the sometimes strong shake up, like an earthquake that can be needed to help us make needed changes. It's the storm before the calm, or the break down prior to the break through. The conscious influences, Card #4 - Guidance - The internal guidance we will receive when we are still enough to listen, and quit looking outside ourselves for answers. Trust Your True Nature! Card #5, the position of what is leaving, or now in the past - The Miser All I can say is thank God for that card being in that position! Good riddance! In life, we have periods of contraction, and periods of expansion. I took this to mean that our time of contraction is in the past. We have recently gone on two trips back home, however prior, it had been a couple of years. We live pretty frugally. We have goals, and outstanding student and business loan debts which stand in the way of our goals. We have made great progress paying them off, yet have not had a chance to save as much as we would like to buy our own home yet, and relocate. NOTE TO THE YOUNG: Debt is a freedom killer. If you don't need it, don't buy it. That goes for college education! They are by and large brain-washing institutions, which provide little value, depending on where you go, and what you study. Go to a trade school! The trades need you! Live within your means. Live simply. Enjoy yourself, but learn to be savvy, and stick to a budget! 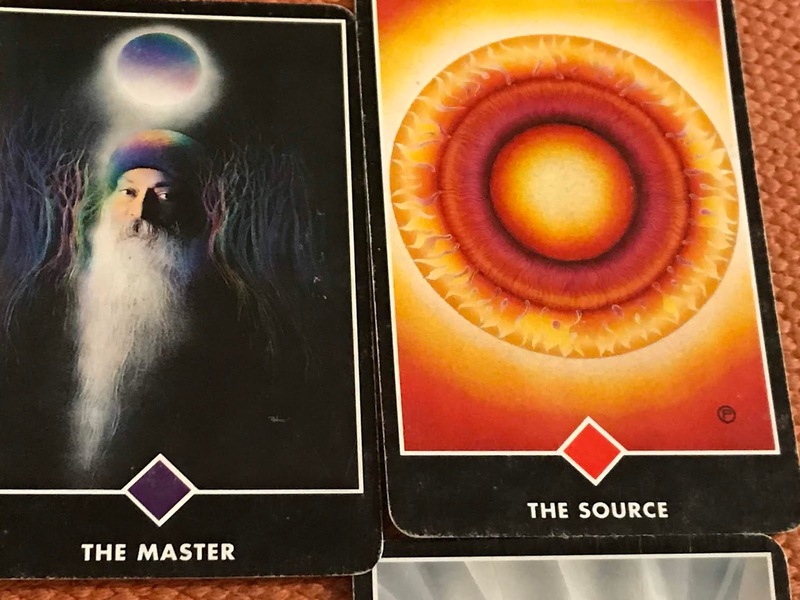 Card #6 - What is coming in - The Master! A teacher, or stepping into (or up to) who I was created to be as a spiritual teacher. 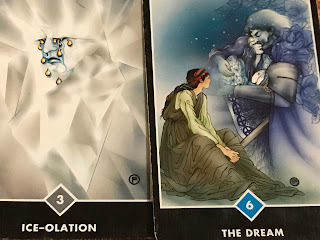 Card #7 - The position of what I am feeling about the issue. Ice-Olation. Here's where it really hit home. When we don't express or 'feel' our feelings, they get submerged within, as if buried under an iceberg. When we are continually focused on our own personal issues, we also isolate ourselves from the world. We become focused fully on the me, and lack the warmth and wherewithal to be present to others. Love is the warmth that can melt the ice. 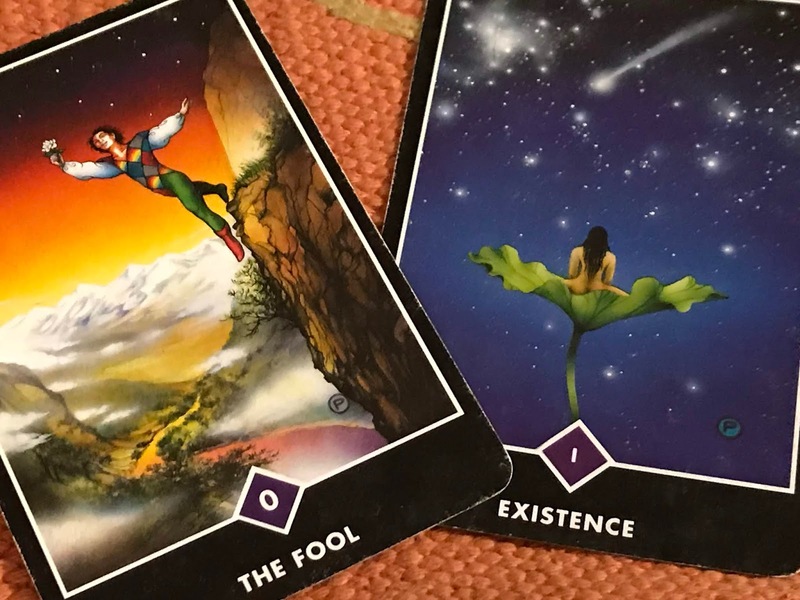 In The Strong Spirit Self-Empowerment Plan (now available), I incorporated a section taken from Anam Cara, (an awesome book) by John O'Donahue, who discusses the varied types of vision from which we can view the world. When we can view life with loving vision, our boundaries dissolve, and we feel a greater sense of connectedness to the whole. Card #8 - What I am attracting to me, The Source, which matched perfectly with The Master card. The Source is always there, waiting. When we get still, and go within, we return to The Source. Hollywood and love songs have programmed us all to desire a perfect romance, idyllic lives and happy endings. None of us are perfect, or we would not be here. Relationships help us grow. They take effort, commitment, and ongoing communication. When we fantasize about our ideal partner, or perfect whatever, we get detached from the reality of the situation. We become let down when we do have (our alleged perfect partner), yet the relationship doesn't live up to our expectations. Our expectations ~ expecting the 'other' to be the 'everything' that is the cause of our suffering. NOTE TO ALL IN RELATIONSHIP: Stay present. Communicate. Have patience. Make an effort to remain connected, on many levels. Don't expect the other to be your everything! Don't surrender your happiness to anyone. It is all on you to take care of you. In relationship, the care taking should be a give and take, not one doing all the caring, and the other doing all the taking. Card #10, The final outcome card - 0 - The Fool, major arcana. I pulled a second one, which was 1 Existence. (interestingly, O-1 being computer code, on/off, yin/yang.) Both cards indicating the ability to trust implicitly all that is unfolding, while remaining fully present ~ within ourselves ~ spiritually/energetically ~ and without ~ in the physical world. This reading ~ along with feedback from both Don and my mom ~ helped me to finally have the aha I needed, to see how I have spent far too much energy in my life trying to gain the approval (of parents, or others), or trying to 'keep the peace', and worrying about how others are feeling, or what they are thinking. I realized in my preoccupation to maintain a harmonious connection with Don, my mom, and myself, that I was that camel, and I caved under the weight. Later, in a discussion, I had my lion moment, as my feelings of being pulled in two directions came blurting out. Finally, I became the child. 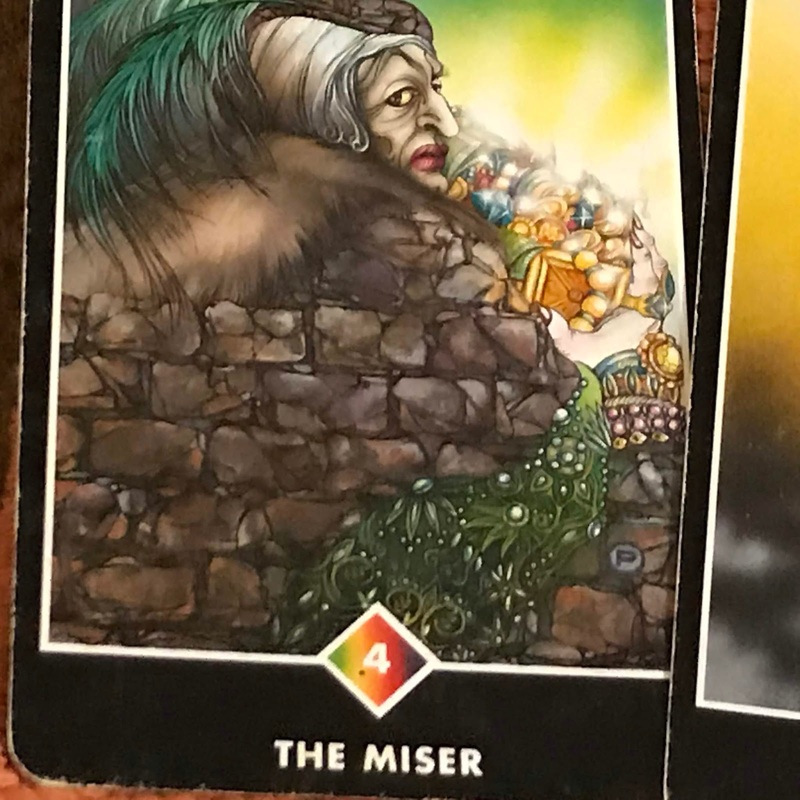 The reading smacked me in the face with the clear message. LET IT GO! The sweet surrender of all that concern and worry helped me feel ten times lighter, and years younger! By the evening prior to Thanksgiving, we were all harmoniously prepping and cleaning up together in the small kitchen, squeezing around one another, each focused on our respective tasks. It was great, we had a wonderful meal, and day, and my mom finally could enjoy the Don I know and love. She enjoyed our company, and was sad to see us go. In the end, my mom and I felt bad for being so insensitive to Don's needs! He could have stayed home the day we went downtown, rested, or walked to the lake. He could have done Don, and I could have spent time with mom, whom I just don't see often enough. Sometimes when you finally 'get' something, the shift is palpable. This shift was distinct, and complete. I've been floating since. I can feel the winds of change now. Good change. Positive change. All it took was this last shift to release an old way of operating so what is new can now come in. Bring on the magic of the holidays!